Let’s say you are a bank. Or a payment gateway like PayPal, mobile wallets like Paytm, or a retailer like Walmart. You then understand the growing importance of mobile payments. The World Payment Report 2016 says that mobile proximity payments will increase to USD 53 Bn in 2019. Compare this with USD 3 Bn in 2013 . If you want to catch this flight, you must look beyond cash, cards, checks, and net-banking. Do not confuse mobile payments with m-commerce, which is only e-commerce on mobile. Mobile payments mean making payments in-store using a smartphone. Buyers can make in-store mobile payments in two ways—NFC and QR Code payments. 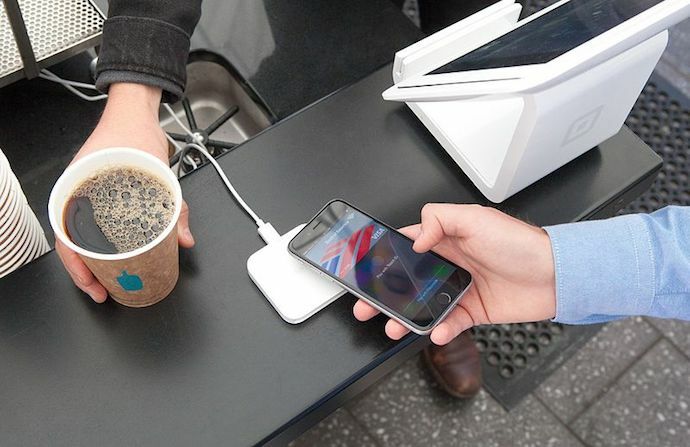 The easiest example of NFC-based mobile payments is Apple Pay. Or the newer Android Pay by Google. NFC is available in high-end smartphones only (iPhone 6 and above). This makes this mode of payment not universal. Other than marketing, QR Codes have a wide range of use cases. They’re actively used in education, security, health care, and even payments. Most retailers have barcode scanning hardware. It’s integrated with their POS for billing of products. So no need for extra hardware. Let’s assume small businesses do not have scanners. Even then buyers can make QR Code payments. Let’s see how this works. Businesses have options on how they wish to process QR Code payments. This depends on the scale of the business. It can be, self-employed, small business, or large retailer. This system of QR Code payment applies to large retailers such as supermarkets. Let’s assume they have barcode scanners at every POS. If you think this type of QR Code payment is far-fetched, think again. Ukraine’s, Malaysia, Singapore, and Pillippines, have already adopted such buyer-to-merchant QR Code-based transactions. Also see—China takes first step towards unified global payment system. In fact, Indonesia plans to launch centralized QR Code payments soon. Cargo is an in-car service startup that works directly with rideshare companies, drivers, and brand partners. It helps passengers order products through their phones. In Jul 2018 Cargo partnered with Uber to help riders buy goods while riding. Riders can install Cargo app on their phone and order the goods. They can make payment using a QR Code. Once rider scans the QR Code and makes payment, Uber driver hands him over the goods. Paypay is a joint venture of Softbank and Yahoo Japan. They jointly announced Paypay to be lunched in Japan in fall 2018. Paypay is a barcode (QR Code) based smartphone service. Users will need to have Paypay app on their phones. App will offer an option to select a payment method amongst credit card and electronic money. Stores will have merchant QR Codes to receive payments. Customers will scan this QR Code with Paypay app to make payment. Also, in 2018, Beijing Inspiry Technology Co. Ltd. launched mobile payments in Japan. 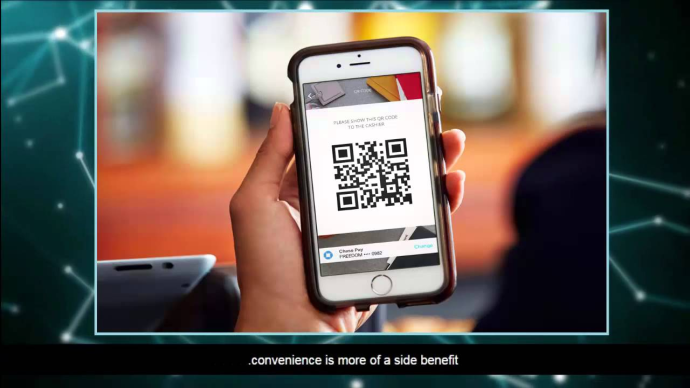 Another such QR Code based app to accept payments is Quickpay. 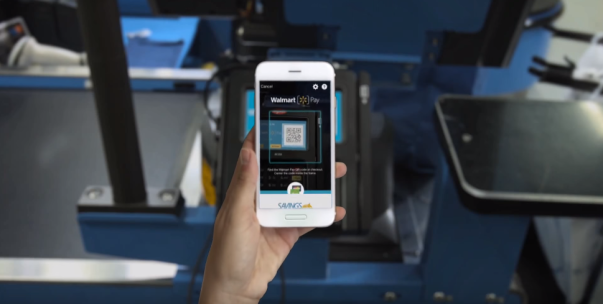 In 2015, Walmart added Walmart Pay to it’s app. They did this to get rid of the extra fees charged by credit card companies and Apple Pay. Using Walmart Pay app, buyers can pay with any major credit, debit, or pre-loaded gift card. Also see how Singapore is digitizing payments. Post demonetisation in Nov 2016, India saw a revolution in QR Code payments. Earlier Saarthi, then Tata power digitised payments. In Aug 2017, Tata power added QR Codes to electricity bills in Mumbai, India. 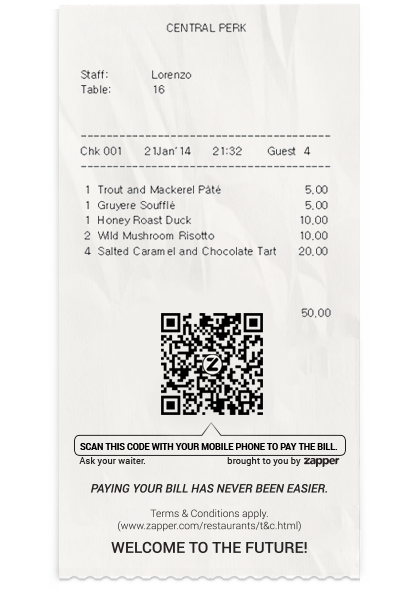 By scanning the RQ Code, people can see their bill details and pay their bill instantly. In May 2017, the Swiss Payment System (Switzerland) also took a similar step. It got digitised by introduction of QR Codes on bills. 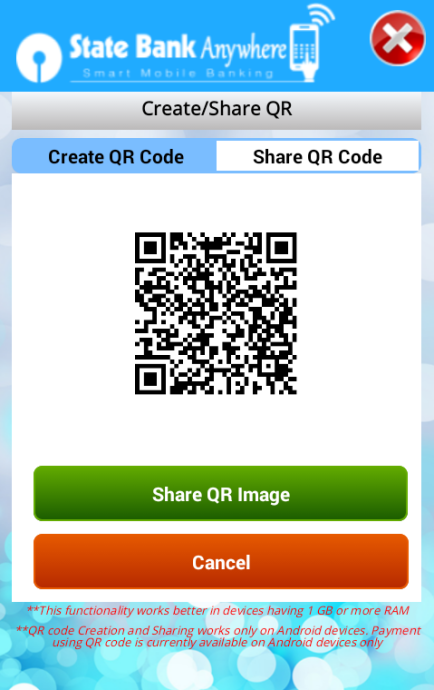 It allows merchants to display a printed QR Code. Customers can scan this QR Code with Swiss e-wallet (TWINT) to make payments. College students in Chennai can now use QR Codes to pay their college fee. The City Union Bank in Chennai has made this possible using QR Codes. Sri Ramachandra Medical University and SASTRA University are two colleges the bank’s backed. Going cashless has made it easier for students to pay their fee in spite of the demonetization of INR 5oo and 1,000. “With QR, it becomes tap and go. Students only have to scan the QR code and the amount will automatically get debited from their account. At SASTRA University, Tanjore, we also opened bank accounts for all students with additional benefits like e-wallets” – N Kamakodi, CEO, City Union Bank. Also see how Singapore’s DBS and OCBC and PayNow announced digital payments with QR Codes. In Dec 2015, there were reports that Target was building it’s own QR Code Payments app. Like Walmart, the move was to defy Apple Pay. “Target’s entry would create a powerful new competitor in a small, crowded market, challenging Apple Inc’s Apple Pay, Alphabet Inc’s Android Pay and Samsung Electronics Co Ltd’s Samsung Pay” — Reuters. Also, in 2016, Samsung collaborated with Alipay to allow Alipay users make digital payments. Like BHIM, NiYo is an Indian app. It uses NiYo smart cards to help employees make digital payments at office canteen. NiYo installed QR Codes at canteen counters in their customers’ offices. Employees can scan these QR Codes at office canteen to pay for their meals. Similarly, State Railway of Thailand (SRT) also uses QR Codes to help passengers buy train tickets. They can find a QR Code on electronic data capture device at the station. And scan the QR Code on their mobile using Kasikorn bank’s appilcation to make payment. In January 2019, FNB announced the expansion of a digital payments system. FNB aims to help customers and businesses make and accept QR Code payments via FNB Banking app. The cashier then uses his barcode scanner to scan this QR Code and complete the payment. Delhi metro train is a system that serves Delhi and its satellite cities like Noida, Gurgaon, Faridabad, etc. IGI Metro falls on orange line of Delhi Metro. To make travel hassle-free, Delhi Metro Rail Corporation (DMRC) is planning QR Code based payment. Passengers will be able to pay for their ride through a QR Code on their phones. They’ll need Bharat QR Code installed on their phones for this system to work. Passengers can download the app and link their bank account with it. They can then generate a QR Code. AFC gate at the IGI metro line will scan this QR Code and fare will be collected. For a long time now, Starbucks has been using this method of payment. Customers have cards with QR Codes. Instead of swiping a credit/debit card, the cashier scans the QR Code using a fixed scanner. The system deducts the bill amount from the prepaid card. 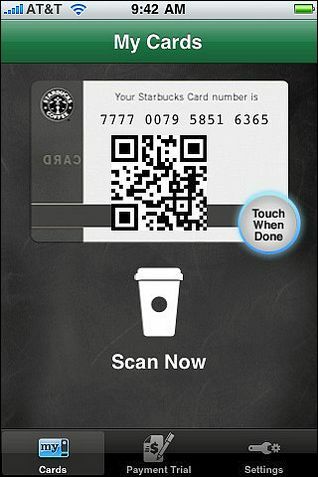 Customers also have the option of using a ‘virtual card’ on their Starbucks app. The Starbucks’ payments app has approximately 12 million users. The company processes approx. 6 million transactions every week. In 2014, Paypal introduced mobile payment in its app. Customers need to check-in the location and the app generates a QR Code. The merchant then scans the QR Codes to get the payment. vBarista—a coffee vending machine in Malaysia uses QR Codes to accept payments. The customers need to set up an account on vBarista website. They can then make a prepaid payment on their smartphone to generate a QR Code. This QR Code, when scanned at vBarista machine, completes the transaction to dispense customers their cup of coffee. Alipay, one of China’s leading e-wallets introduced QR Code payments in The Body Shop. Chinese customers visiting London could make cashless payments at three Body shops stores. The three stores are in -Covent Garden, Oxford Street and Regent Street. 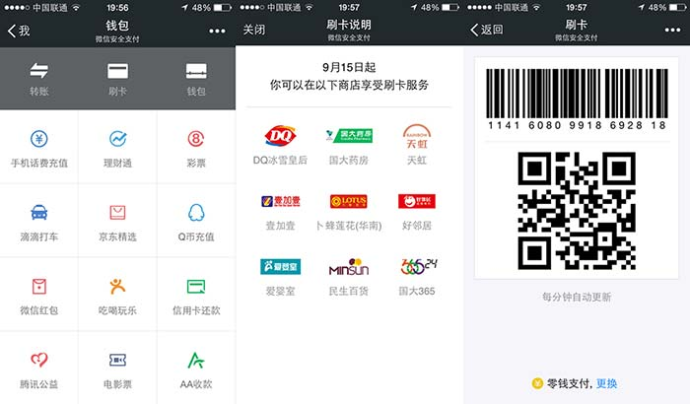 Customers would have to generate a QR Code on their Alipay app. Getting the QR Code scanned at The Body Shop store completed the transaction. It was launched in 2019 by Kroger, a popular grocery chain in the US. It allows customers to generate a QR Code in the Kroger app to make payments during their check-out. This mode of QR Code payments applies to small businesses and retail outlets. Let’s assume they do not have barcode scanners at POS. Note that in this case, the buyer enters the amount and the merchant has a permanent QR Code. 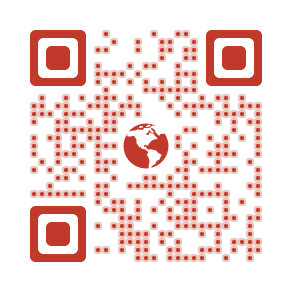 This QR Code helps the buyer app to identify the merchant account. In 2015, Chase Bank introduced a digital wallet, Chase Pay. This app allows customers to make payments via their smartphones by displaying a QR Code on the app. The QR Code when shown and scanned by the cashier, makes a quick payment. Shell Britain has introduced a Paypal-powered payment option called ‘Fill Up and Go‘. 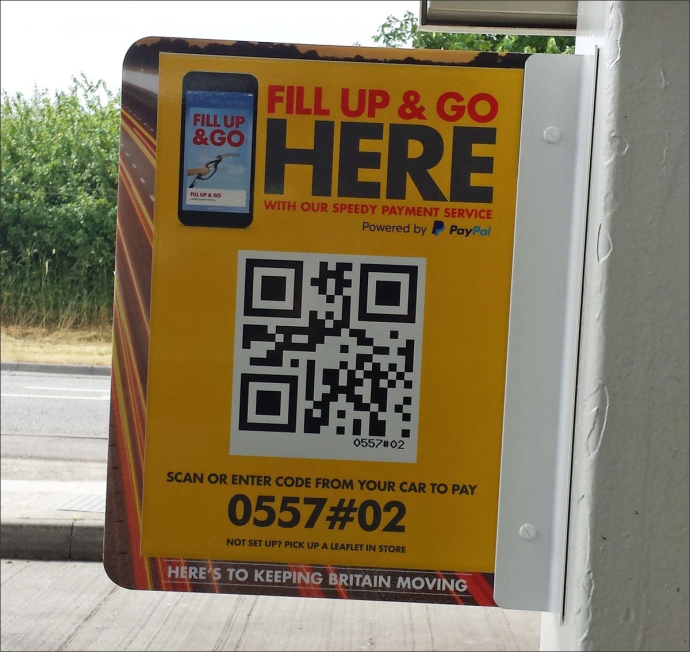 Consumers can make a payment at Shell pump-stations by scanning a fixed QR Code. In 2015, Paytm, one of largest payments processor is India, added QR Code payments feature in its app. Paytm was first to include small merchants in cashless/cardless payments network. This means street vendors, autorickshaw drivers, electrians, etc. “The existing 10,000 merchants, who enable topping up of Paytm wallets with cash, will also be encouraged to accept QR code-based payments as a large number of these points are kirana shops. Shortly, the company will also launch a merchant application that will give retailers a wider range of functionality in addition to generating dynamic QR codes that incorporate payment information”- said Nitin Misra, Head of Paytm’s Payment Products during launch of the feature. Within a year of the launch, Paytm has seen exponential growth. In Nov 2016, Paytm clocked a record 5 million payments transactions per day. This growth is also a result of demonitization initiative by the Indian Government. In Nov 2016, Indian Prime Minister declared a ban on Rs. 500 and Rs. 1000 cash notes, pushing people to move to cashless payments. By this time, Paytm had about 850,000 offline merchants. The company is aiming 5 million merchants by the end of the financial year. Since Dec 2016, Paytm also allows users to make cashless transactions at toll booths. Travelers can make payments by scanning QR Codes across major toll booths in India. Also in Dec 2016, Paytm introduced QR Code payments to small merchants in Shillong. This included major farmers’ markets. Zapper is a mobile payments provider for restaurants and also uses this method. Participating restaurants add a QR Code on every bill. Customers can pay using the Zapper app. This is how bitcoin transactions are also processed. The payer scans the QR Code provided by the recipient and the transfer of bitcoins is possible. 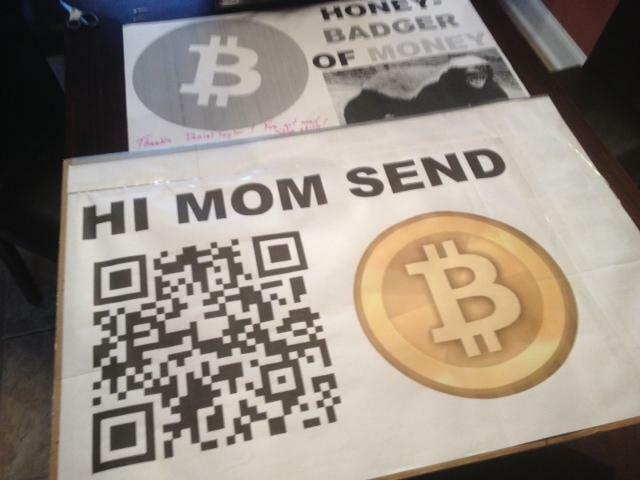 See hoe you can create your own bitcoin QR Code. Another example for buyers-to-small business transaction is the Masterpass QR Code. Ecobank group with Mastercard launched the Masterpass QR Code in Nigeria, Africa. This allows consumers to make digital transactions with small, medium and micro enterprises. This mode of QR Code payment applies when an individual needs to pay another. For example, friends, family members, or self-employed professionals. WeChat is China’s most popular mobile-only instant messenger service. As of Mar 2016, WeChat had approx. 762 million users. Now, WeChat is also a mobile wallet. Using the app, users can make P2P transactions by scanning QR Codes. Also, it is possible to make purchases at participating retailers. Popular mobile wallets such as Paypal and Paytm also allow P2P transactions via QR Codes. Banks are now allowing P2P transactions through their apps. This is to make it easy for account-holders to transfer money. No need to register payee. State Bank of India (SBI) is India’s largest bank with total assets over USD 300 Bn. In 2015, SBI added QR Code payment feature in its Anywhere app. The receiver can generate a QR Code of their bank account and share it with the payer. The payer can make the payment by scanning this QR Code using their own SBI Anywhere app. 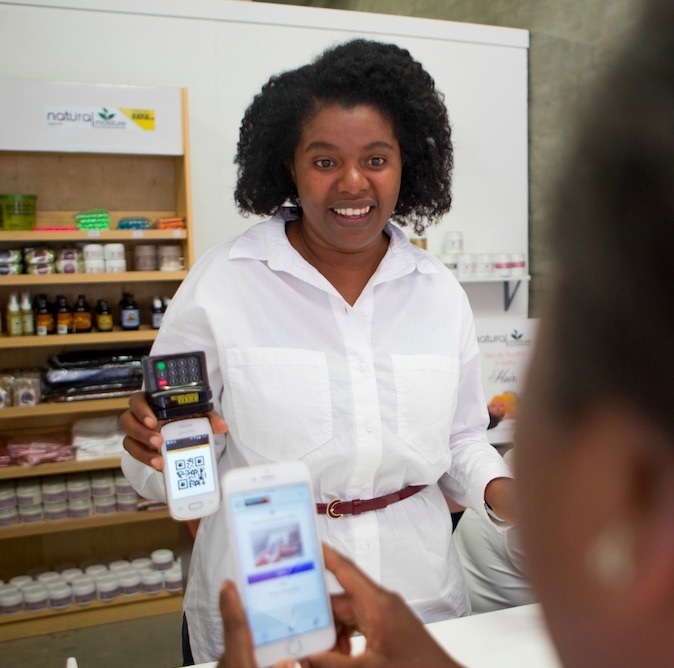 For businesses of all sizes — small or large — QR Code payments is the easiest way to go cashless. It is far more inclusive than NFC-payments and much more affordable. Also see how India Post Payments Bank (IPPB) rolled out QR Cards for digital payments. From the examples above, it is clear that every new-age business is adopting QR Code payments. Are you? If you are looking to add QR Code generation in your information system or mobile application, you can integrate your app with Scanova’s QR Code Generation API. If I display a unique QR code at my general store. I want to know how my different bills will be connected to the payment made by different customer to same QR code. Payments by QR Codes are also expected to go live in India very soon.